Celebrate National Park Week now thru April 29th with incentives across the nation to explore an amazing situation. A way to introduce and share the great outdoors is yours with Pocono Mountains always in participation. This weeklong determination gives just the right amount of enthusiasm to get out and go. 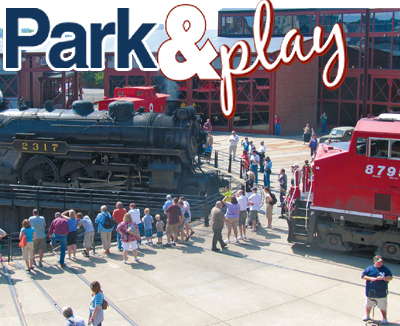 Kickoff festivities locally with an April 21 opportunity to enjoy places like Steamtown in Scranton where a locomotive history scene reveals the people who built, repaired and rode. Visitor Center, museum and grounds are free to enter; while excursion tickets offer “Yard Shuttle,” “Scranton Limited” and “Nay Aug Limited” train rides for a fee. National Park Rx Day, April 29, highlights local organizations that join our National Park’s in encouraging everyone to get active. Gather ’round for healthy activities and info that make outdoor living sound pretty appealing so make Park & Play plans today.